The release of PLATO 6 represents a proactive response to user feedback. The simplified workflows and enhancements to the graphical interface throughout the toolkit have been designed to enable a faster, more efficient user experience whilst retaining the core physics that are the cornerstone of our business. 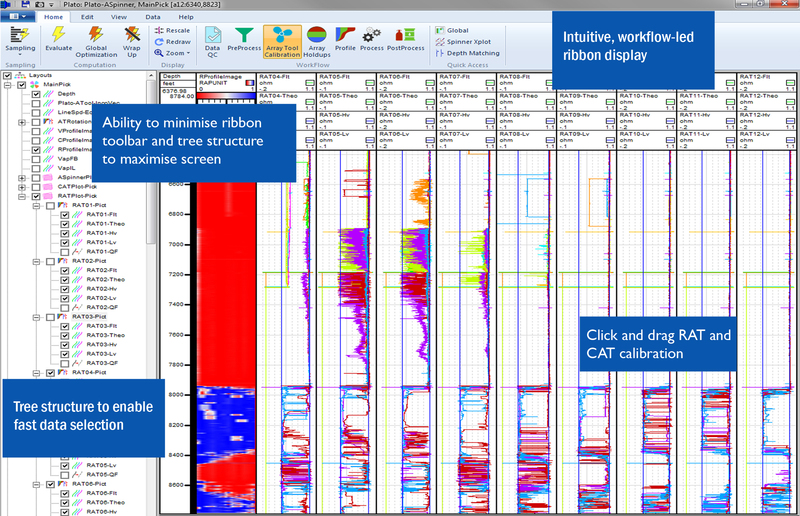 PLATO 6 features a new graphics-oriented ribbon bar and tree structure for logical, efficient editing. Simplified workflows and maximisation of screen real estate enable more detailed, in-depth analysis than ever before. New functionalities include a broader enhanced input capacity – including, amongst others WITSML, GROH and DEFT – and drag & drop import. The addition of water tracers, increased DTS storage and a simplified warmback model further broaden the product capabilities, delivering a more comprehensive, user-friendly experience end to end. ISP is a leading independent provider of software and services for formation evaluation, production logging analysis and DFO data processing to the oil and gas industry.